Supreme Court has stayed lodging of FIR against Major Aditya in Shopian firing case. The apex court has issued notice to the Centre and Jammu and Kashmir Government and has sought reply within two weeks’ time. 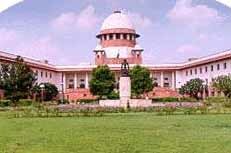 Supreme Court also directed that no coercive action be taken against Major Aditya. कभी सोचा आपने 30 साल बाद आपकी सम्पति का कौन मालिक होगा?